Artwork next to 25th and Commercial trolley station. – Cool San Diego Sights! Artwork next to 25th and Commercial trolley station. 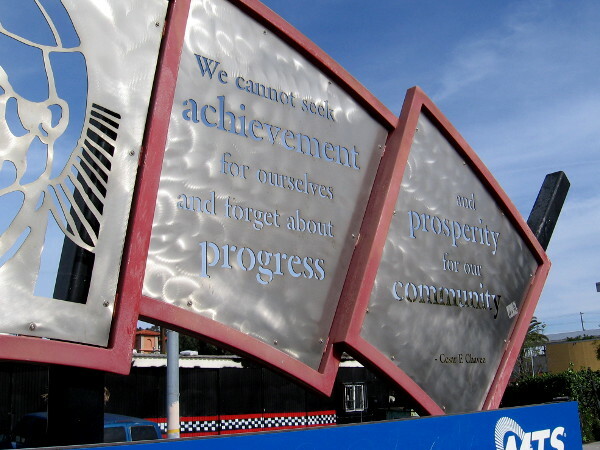 Metal artwork at the 25th and Commercial trolley station honors labor leader and civil rights activist Cesar Chavez. While riding the Orange Line of the San Diego Trolley, I noticed several works of cool art in and around the 25th and Commercial station. So I jumped off, walked around and took photos! 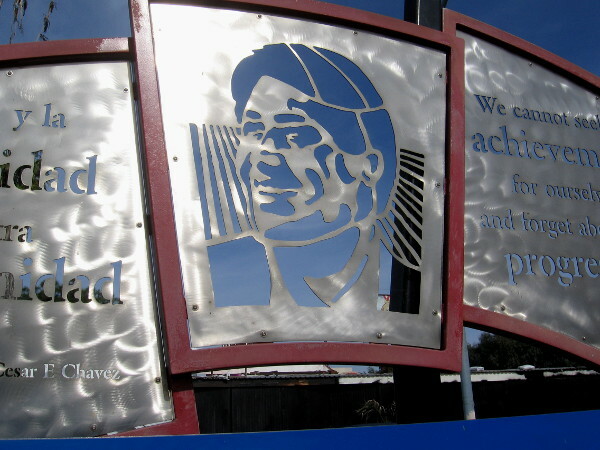 The metalwork that honors Cesar Chavez can be found at the westbound platform. The 25th and Commercial trolley station is dedicated to the civil rights leader. You might recall that both platforms of the split station also feature amazing tile mosaic benches. I posted those photos here. 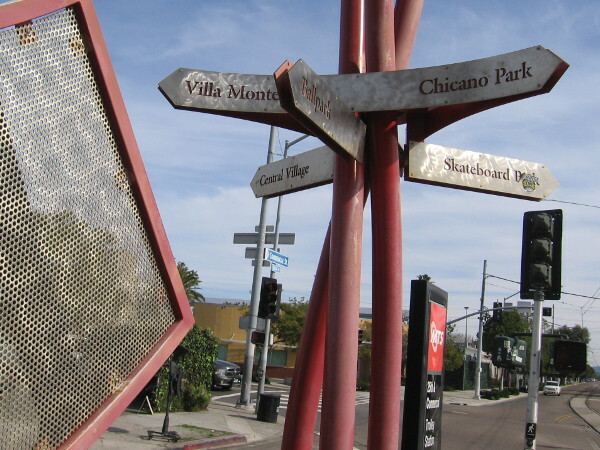 A sign at the trolley station points to various locations of interest, including Villa Montezuma and Chicano Park. 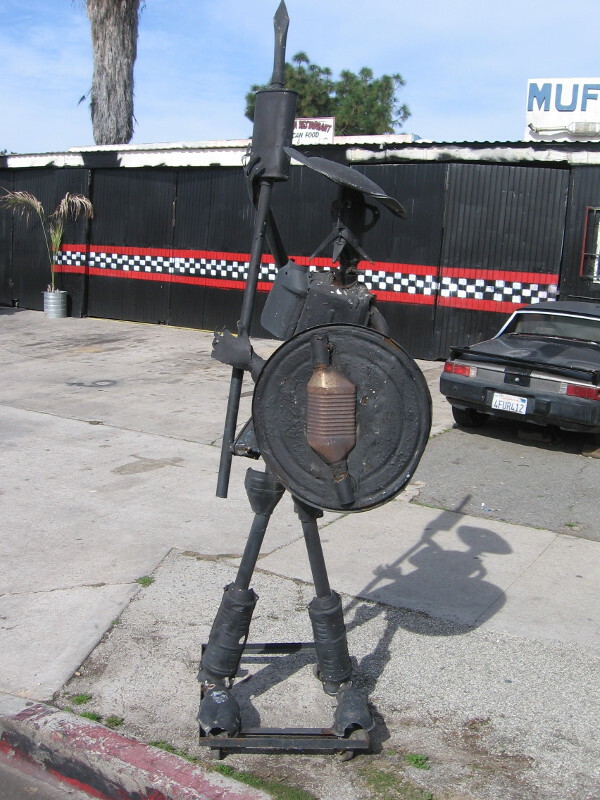 A metal Don Quixote stands guard at a nearby muffler shop. Colorful artwork on the back of the San Diego Police Department Central Division parking garage. 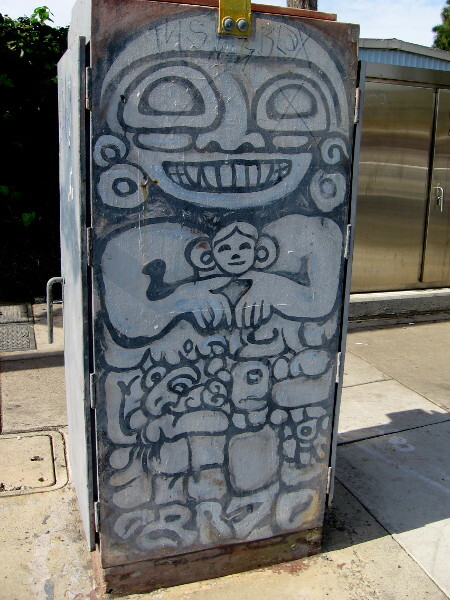 Mesoamerican iconography becomes street art on a corner utility box. 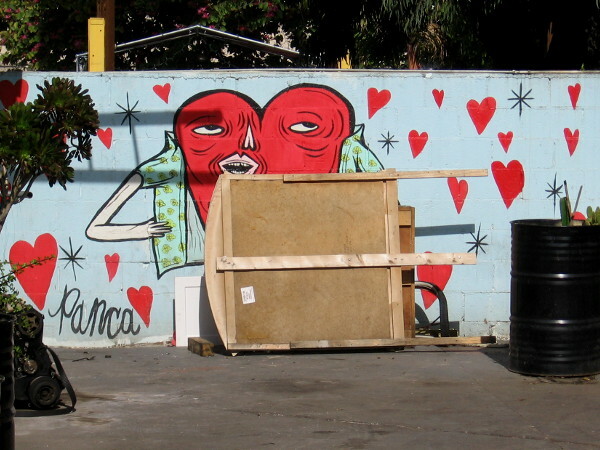 A fun heart in a mural on a nearby wall. 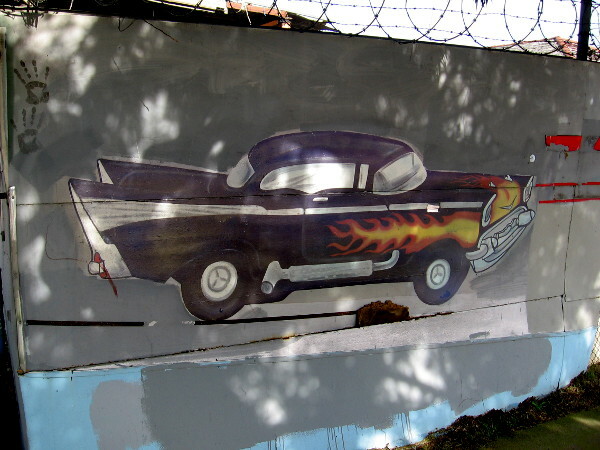 A cool car painted on a fence along Commercial Street in Logan Heights. 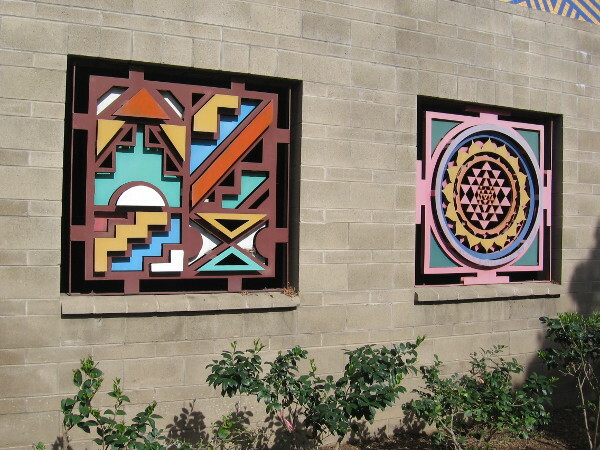 Previous Previous post: Liquid Harmony mural at Encanto trolley station. Next Next post: Morning in the garden at Waterfront Park.